In most situations, straw is considered as a kind of crop waste, such as corn straw, rice straw, wheat straw and cotton straw. These straws are trouble problem for farmers, so it would be a pleasure to get rid of these wastes. Some farmers choose to burn them in the land in the past, however right now people are more likely to make the best use of them–using straw to make pellets. Straw pellets are one renewable fuel and featured by low pollution, emission-reduction and economical. 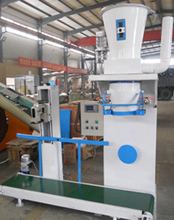 Wood hammer crusher machine can be used for common straw material grinding. 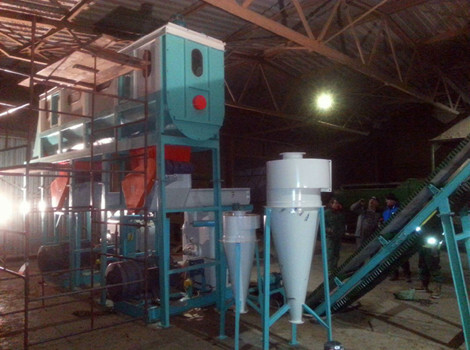 With different fineness and production output available, the crusher enjoyed great popularity among large and medium scale pellet processing plant. 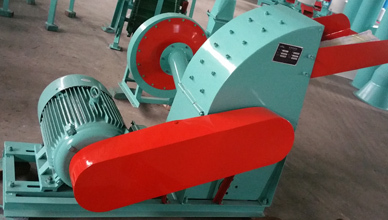 This wood hammer mill has wide application and can be used to process various kinds of raw materials such as wood sawdust, wood scraps, wood cuttings, wood shavings, coconut shells, pine sawdust, etc. 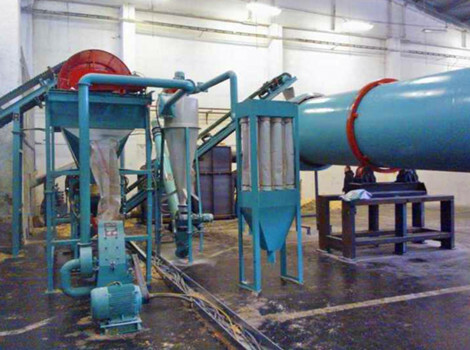 Rotary drum dryer is used to dry the moisture content contained in straw and make it become optimal for pelletizing. It has wide application and can be adopted for drying a wide range of biomass materials such as alfalfa, straw, sawdust, marigold, manioc waste, cola cake, leaves, etc. Rotary drum dryer has high drying intensity, high expandability, large drying capacity and high efficiency, besides, it is also energy saving and environmental friendly. After straw to be crushed and dried, they are sent to the ring die pellet mill to be produced into pellets. Ring die of this machine is usually 8mm and 10mm, other bore diameters can also be equipped according to customer requirement. This machine is driven by gear, so the capacity can be improved about 20% compared with that of the belt drive. 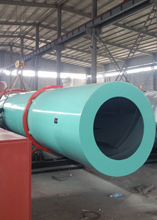 Pellets has high temperature and moisture content after discharged from pellet mill, so counter flow pellet cooler is adopted to reduce temperature and moisture content. After cooling, moisture content of pellets can be reduced to 12%-13%, temperature can be reduced to about 3-5℃ above ambient temperature. This machine adopts the counter flow cooling principle, the cooling time is increased. Cooling effect of this machine is remarkable. Equipped with high intelligent control system, the sawdust pellets packing machine has stable performance and high precision. 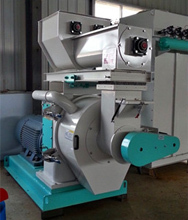 This straw pellets packing machine can realize integrative packaging of straw pellets. 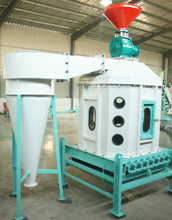 It can protect straw pellets from damp and dust.